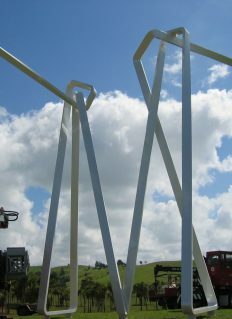 Culham Engineering manufactured, assembled, delivered and installed the unique Gibbs Farm sculpture comprised of twisted steel box sections finished with high quality paint. 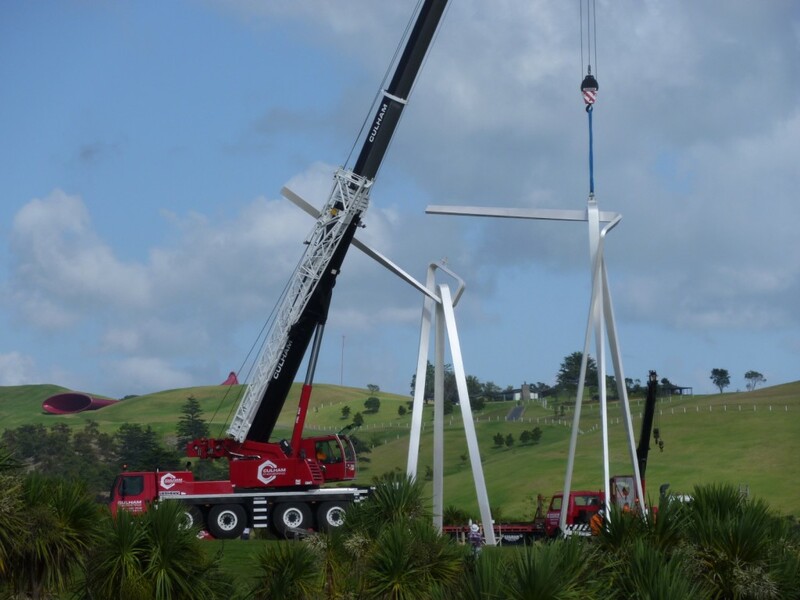 The two ‘dancers’ weigh about 4.2 ton each with the highest point at 14.7metres. 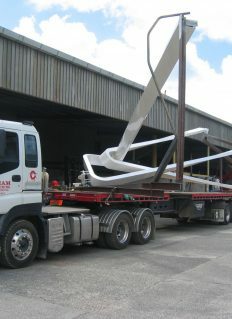 The individual foot prints are roughly triangles with 9metre, 8.8metre and 4metre side lengths. 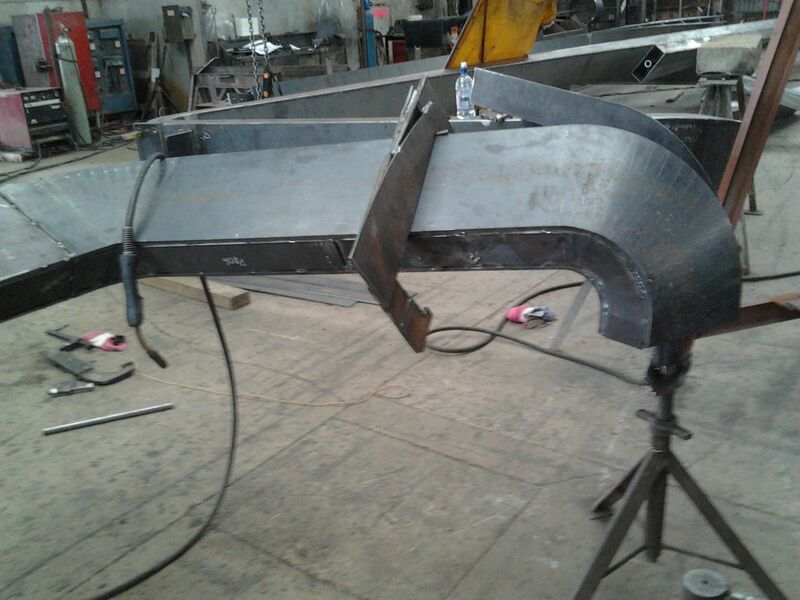 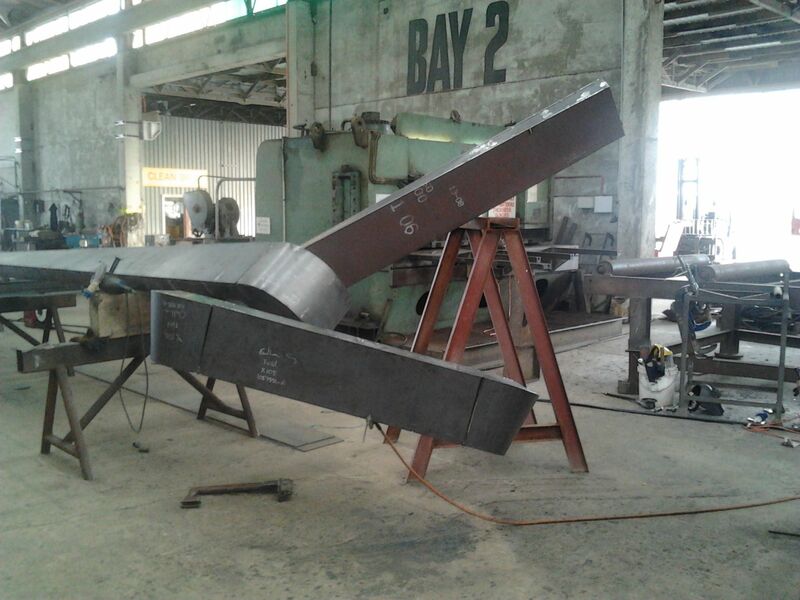 The sculpture is made of a rectangular profile welded from individual plates. 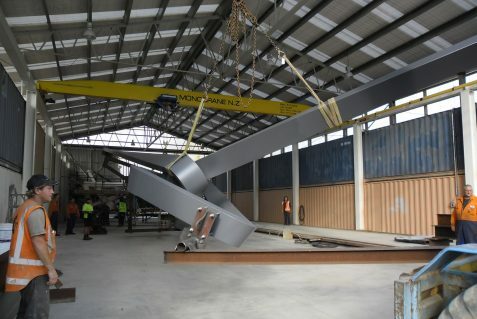 It has an internal pipe/gusset skeleton and all surfaces are twisted. 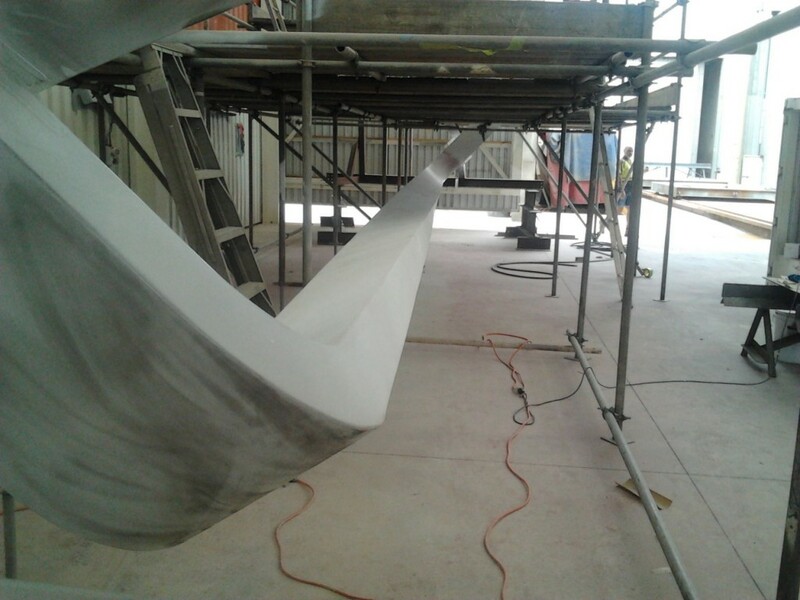 The finish, a car-like paint system with a pearlescent effect was completed in our 2000 square metre insulted painting facilities in Whangarei. 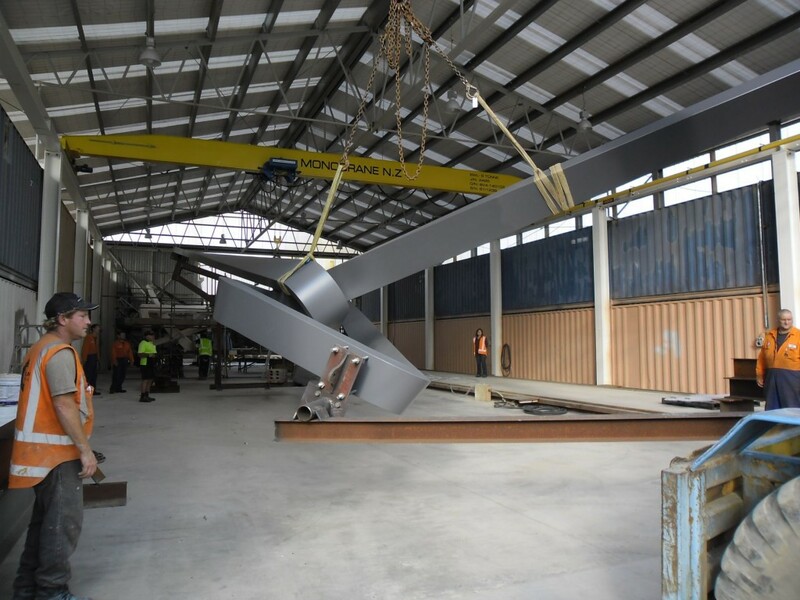 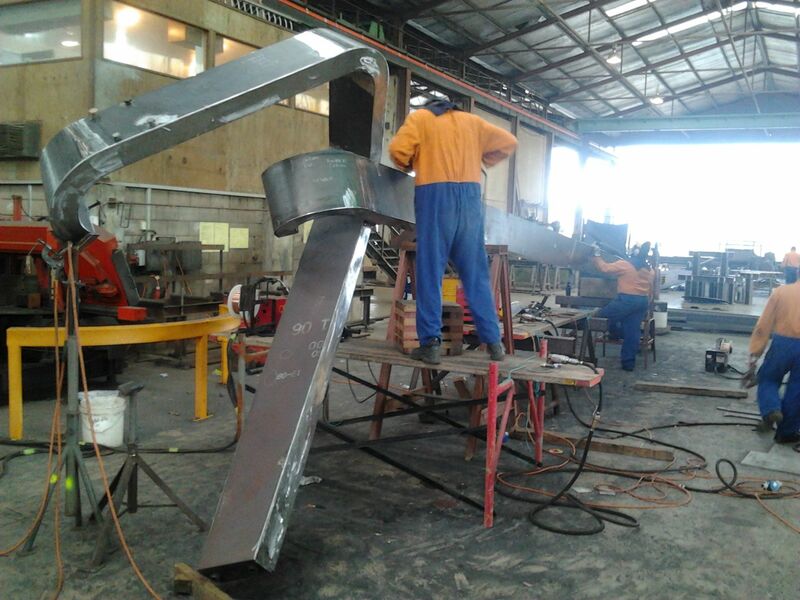 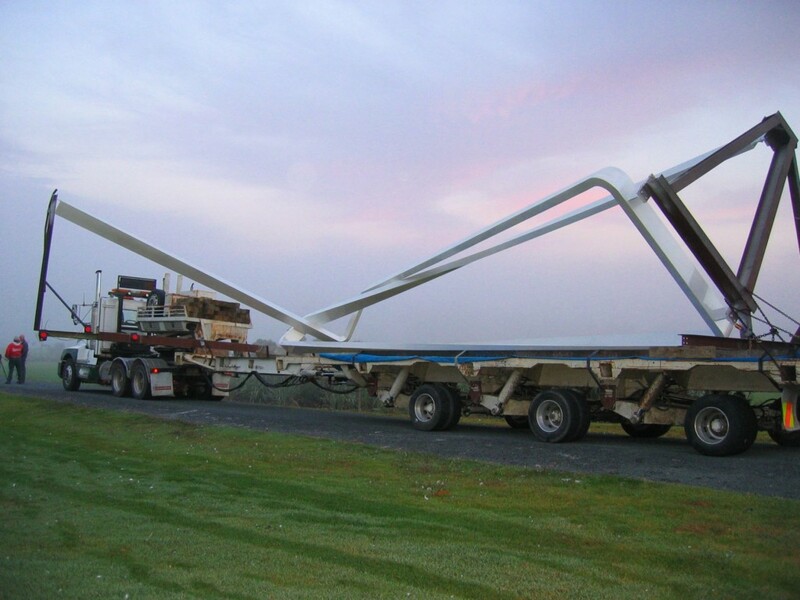 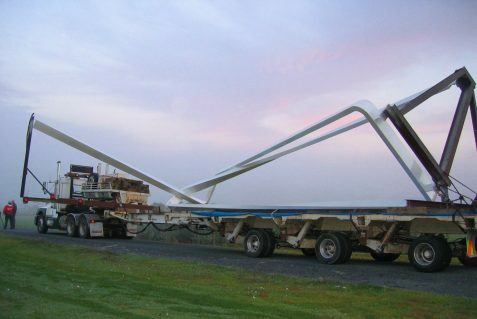 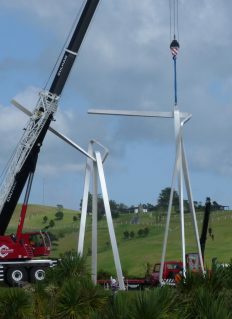 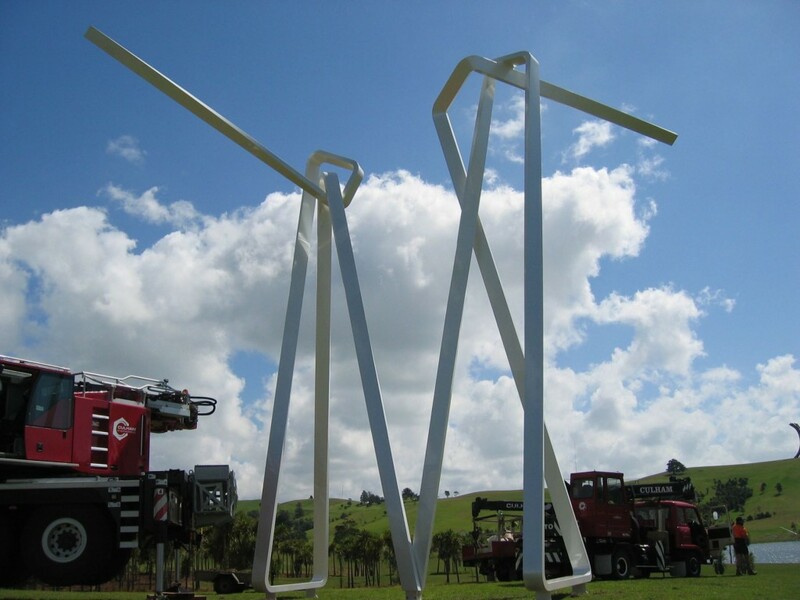 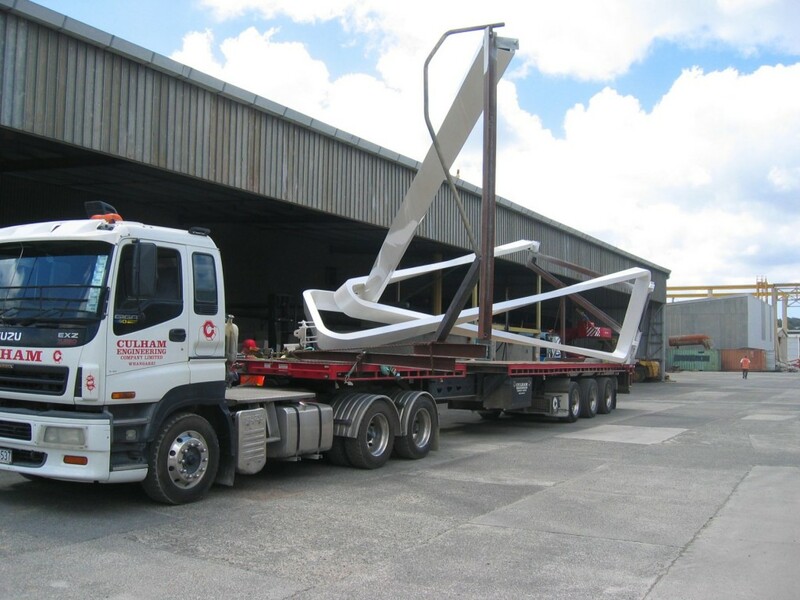 Once the two dancers were fully assembled and painted we transported them to the Gibbs Farm site using our big transport jigs.